All our glorious cakes are handmade on site daily! Since opening Selina’s in November 2011 good, home-cooked meals and delicious, home-baked cakes has been our mission. From Vanilla Sponge to Hummingbird; Bakewell to Caramelita; we bake the most delicious cakes, on-site in our purpose-built bakery. 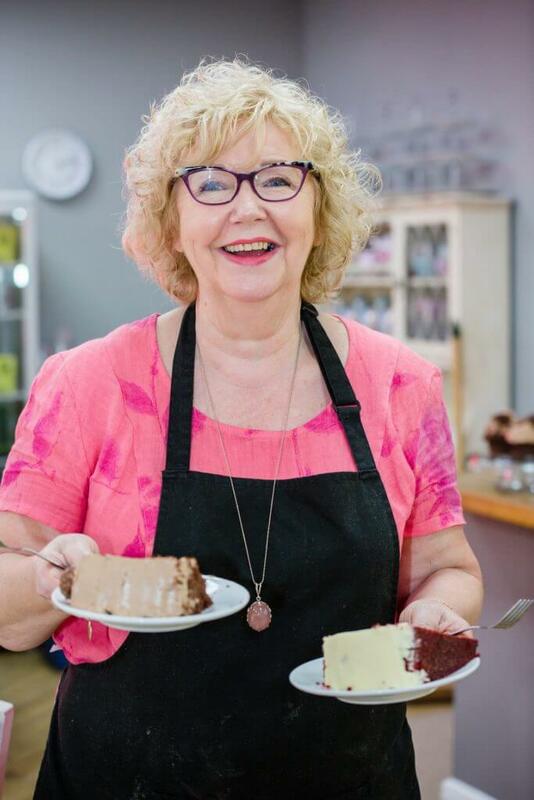 Under the direction of Selina’s director Margaret Duff, her baking team use only the finest ingredients to achieve the highest quality results. Due to our fast turnaround, our cakes do not contain preservatives or additives to maintain freshness, and therefore do not sit on the shelf for days on end. We regularly add new recipes to our extensive menu, and we also bake vegan, dairy free and gluten free cakes, too. Selina, Margaret’s mother, taught her to bake cakes from a very young age. When we decided to incorporate a café at the Calmababy Centre, there was only one name we could choose! If desired we bake whole cakes for events and special occasions. Cake prices can be found on Selina’s tab on the Calmababy App. Or speak to a member of Selina’s staff for further information. “Cake is happiness! If you know the way of the cake, you know the way of happiness!